Welcome to CreateJigsawPuzzles.com! We are a major manufacturing company for the board game industry. We have more than 30 years of experience helping our customers design and print their custom games. 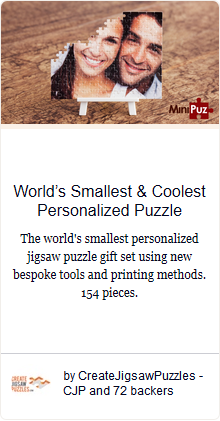 We offer an easy-to-use online puzzle maker to help you to design and print your own custom jigsaw puzzles at scale for reselling. Our puzzles are top quality because we use the best materials and the latest technology. We have a large client list, all of which can vouch for our high-quality products and convenient customer support. Our puzzle printing services are ideal for gaming and marketing industries interested in printing a large amount of puzzles for reselling, Designing and printing your personalized puzzles couldn’t be easier. First upload your custom image/photo to our online puzzle maker, then preview and order your puzzles online – even bulk orders. We offer full color printing, a variety of shapes, styles and different sizes for your needs. We have heart-shaped, double-sided, magnetic and many more! We use cutting edge printing and production technology, so you can rest assured that your custom jigsaw puzzles are top quality. Need your shipment in a hurry? We have a very fast turnaround time. No matter the size of your order, your puzzles will be printed and shipped in as little as 5-6 days! If you have any questions or problems, we offer customer support, such as technical help and advice for making your own custom board game. 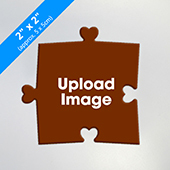 So don't delay, design and print your high-quality, custom jigsaw puzzles today for your business.